The Weekend Go Go: Theater of Horrors, Eagle Rockin’, and Cycling for Mole. Where lightning strikes more than twice…. Go Go’ers, the neither-summer-nor-fall month of September is over. The party month of October begins. You’ll want to start mainlining coffee immediately to keep up. Substitute whisky, beer, cocktails, or blood at will…. Go Go’ers, approximately seventy zillion Halloween haunted houses will debut this month in the greater Los Angeles area. But who better to kick off shriek season than producer Jason Blum — he 0f Paranormal Activity, Insidious, and Sinister? 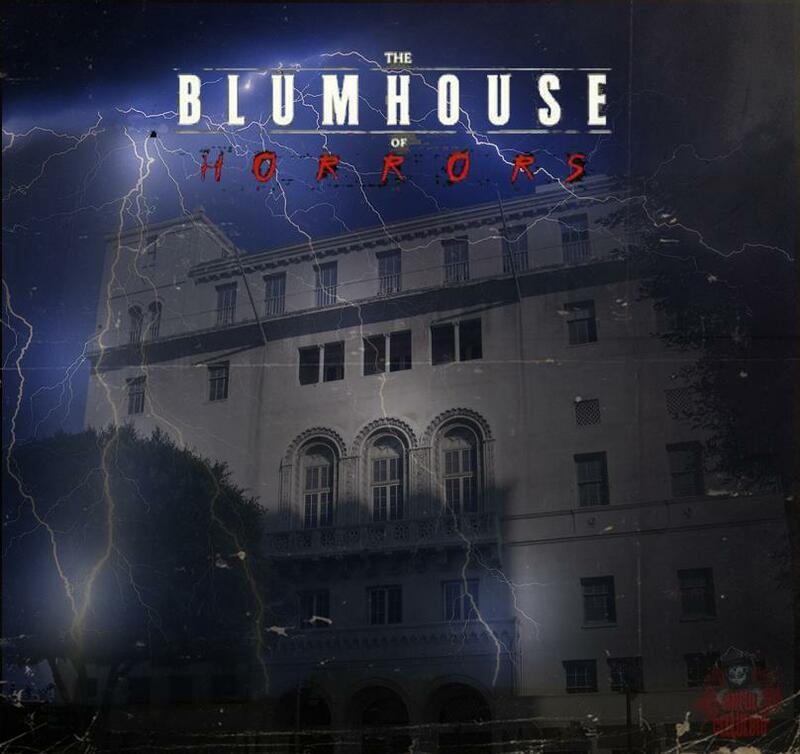 In addition to his own top-notch horror bonafides, Blum pairs with Thomas Edward Spence who not only co-art directed Insidious but wrote and directed the Blumhouse of Horrors opus, which involves a Satan-loving magician from back in the day, his unlucky assistant, a giant, black, claustrophobic tunnel, and a “goat boy”. Go Go’ers, you won’t want to save this best for last. All ingredients for a successful music fest here. It’s hard to believe that the Eagle Rock Music Fest — the Center for the Arts, Eagle Rock’s once-tiny homegrown music fest — is now in its 14th year. Unlike most teens (and other Eastside music fests…cough! Sunset Junction cough! ), the ERMF’s growing pains have been well-managed and minor. In NELA, it’s all good in the ‘hood. Notable among the 70 bands and DJs on eleven unique stages are local faves/rowdy rockers Tijuana Panthers on the Emerging Stage (you will get sweaty); Ms. Go Go roots-and-gospel fave Little Faith at the LA Filipino-American Church (grass and stair seating, y’all! ); and a square dance at the Women’s Twentieth Century Club with premier, L.A. do-si-do’ers Triple Chicken Foot. Those boots aren’t just for walkin’…. You’ll also want to stake out your space at the DUBLAB stage, which will once again be a mob magnet as Delicious Vinyl will be presenting Bizarre Ride II The Pharcyde Live. The full album will be performed from start to finish, featuring Fatlip, Slimkid3 (formerly of The Pharcyde), J.Sw!ft, L.A. Jay, and special guests. Additionally, Peanut Butter Wolf will headline the Stones Throw Stage and Rat Pack-era jazz mecca Colombo’s will feature music inside and out although you’ll have to sip their signature giganto martinis inside. 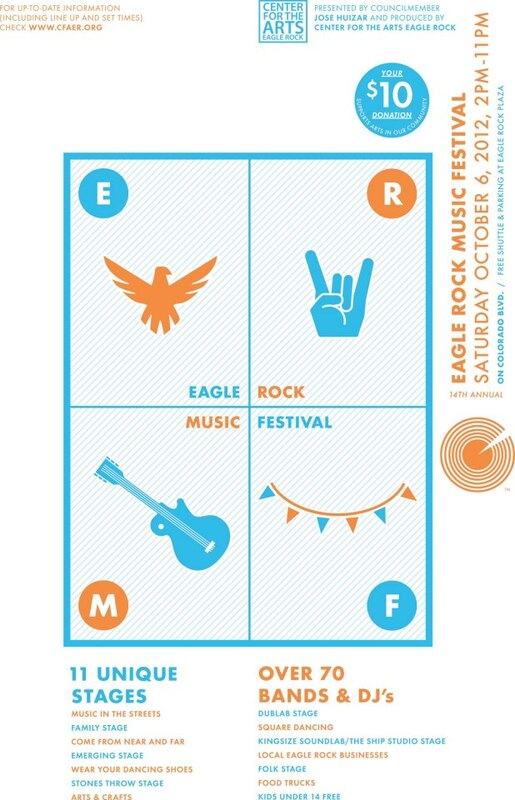 EAGLE ROCK MUSIC FEST — Sat, Oct 6, 2-11 p.m.; $10 suggested donation; for more info, including festival lineup, go to Center for the Arts, Eagle Rock’s website. That’s “molera” Dona Kailita on the right; respect. It’s CicLAvia this Sunday, which means selected Eastside, Southside, and DTLA streets will be cleared for bicycles, bipeds, and all things non-auto. There will be food trucks and brick and mortar eateries all along the route — check out the CicLAvia food blog here — but Ms. Go Go’s making a bee line to Olvera Street and La Feria de los Moles. Don’t get in her way. The 5th Annual Mole Festival features the yearly Oaxaca vs. Puebla mole throw down with the Mexican state of Guerrero represented for the first time. This Sunday, the contest may weigh more heavily towards Puebla due to the special fest guest: 86-year-old Dona Kailita, g-ma of La Feria founder Pedro Ramos, will be visiting the fest that she inspired for the very first time. As molera of her home town of Tlacotepec de Benito Juarez, Dona Kailita routinely made mole for 2,000 people; she still takes a week to make her artisanal,Puebla style Mole Poblana from scratch from a recipe handed down from her ancestors. Go Go’ers, that’s what you call holy mole. 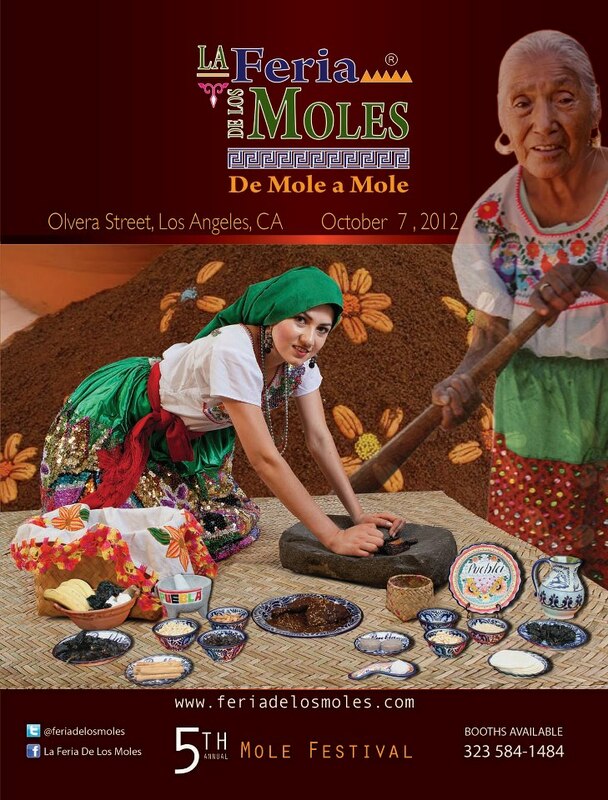 LA FERIA DE LOS MOLES – Sun, Oct 7, 10 a.m. – 7 p.m.; free entrance — Olvera Street, 125 Paseo De La Plz, Los Angeles, 90012. For Mole Fest info, click here. CicLAvia – Sun, Oct 7, 10 a.m. – 3 p.m.; for route map, click here.